Both secondary school and Junior College students in Singapore are given the option of taking literature as one of their humanities. It’s understandable that most students tend to avoid this subject like the plague, taking into consideration it’s level of difficulty. To top things off, it also requires students to have an impenetrable command of English in order to score well. Apart from that, literature also takes critical thinking to a whole new level as students are faced with the challenge of hunting for symbolisms, personifications, and juxtapositions as they attempt to form their own theories of why the author presented his perspective in that manner. Sounds like quite the mouthful, doesn’t it? As you can already tell, literature isn’t exactly the most popular choice amongst secondary school and Junior College students; it’s not the easiest thing to study for, and not the easiest thing to score for either. Not only do students have to read, analyse, and memorise and entire novel, they’re also required to engage in discussions during lessons as they form their own opinions and learn how to present them through an essay. Many people tend to label literature as a subject that either you get, or you don’t. However, it’s not as straightforward as it seems. Literature can be easy to understand if you know what you’re looking for, which is why students who take this subject often need additional help. Send in a ‘Request A Tutor’ form now and get your child a private literature tutor today! 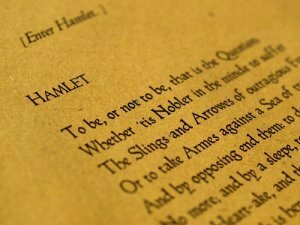 Shakespeare is usually introduced in secondary one and two, depending on the methods and curriculum adopted by the secondary school. Shakespeare is known to be the founding father of literature, which is why the subject revolves vastly around his works. In addition, the sentence structure that’s used in literature is far more intimidating than what you see in other humanity subjects. Some might even describe it as an even more advanced level of English! If there was such a subject as Higher English, literature would come pretty close. This makes literature a cause for concern for students who don’t have a strong foundation in English. An essay with poorly written grammar can be absolutely devastating when it comes to literature papers. Other humanity subjects tend to be much more forgiving, but literature is far more vicious when it comes to language and tenses. It’s no wonder that literature has one of the highest drop rates amongst secondary school students. They feel like they’re unable to keep up and end up feeling discouraged when they’re returned with failing grades despite their efforts and hard work. It’s also disconcerting that literature is, in actuality, subjective. This means that the comments made by a teacher might not be the same as the comments made by someone else. Everyone can have their own unique interpretation of the poem or prose, but not everyone will be able to back it up with evidence to make their arguments substantial enough to be worth consideration. This makes it even more important for students to do their own fair share of learning and expand their knowledge about literary terminologies and how they can be used. Examples of these can include alliterations and onomatopoeia, which are concepts that aren’t often taught in secondary school. If you find your child struggling with literature, and he’s taking it as an ‘O’ level subject, you might want to get him a private literature tutor before its too late. A private tutor is able to impart knowledge to your child beyond the horizons of what he learns in class. Private tuition supplements the lessons of a conventional classroom while introducing new concepts for your child to score better grades in his examinations. It also helps that he’ll gain more perspective and more confidence in the subject. If you thought that secondary school literature was difficult, then you haven’t seen anything yet. Literature as an ‘A’ level subject has been rumoured to make students lose their minds. Well, not figuratively, but it’s certainly no easy feat. Students who’ve taken literature in Junior College often complain of carpal tunnel from three hours of writing during examinations. The concepts become more complex, the terminologies are even more difficult to remember, and creative thinking becomes a necessity. Literature at that stage, needless to say, is far more demanding as compared to secondary school. Students taking literature as an ‘A’ level subject are generally in need of support, and there’s no better support than the help you get from a tuition agency. 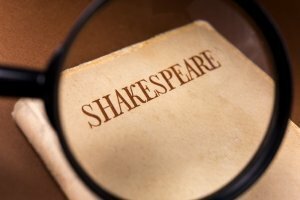 Literature at that level requires linguistic skills that exceed the expectations of the markers, so on top of memorising Shakespeare’s works, students might even have to memorise the dictionary as well. Imagine the amount of pressure that junior college students have to shoulder. Edu Aid is a tuition agency in Singapore that’s renowned for providing both secondary school and Junior College students with quality literature tuition. Equipped with a pool of experienced tutors, Edu Aid is the go-to tuition agency for all subjects and all levels of tuition, including secondary school and junior college literature. Humanities can be difficult to study for, especially if students are left to their own devices. It’s not uncommon for students to find themselves feeling lost when they encounter questions that they aren’t prepared for. A private literature tutor will prevent this from happening by properly preparing your child with the skills and knowledge that he needs to do well in the subject. The next and only step that you need to take is to fill up our ‘Request A Tutor’ form and an engage a private literature tutor for your child now.